What any good virtual reality experience strives for is presence, the sense that you really are floating through deep space or riding that dolphin. Achieving that means forgetting that youre actually sitting in your living room with a doofy headset covering half your faceanda cord (or several) coming out the back, tethered to a nearby computer. Unless youre intent on experiencing the most dystopian moments of the Matrix trilogy, that wire in particular makes presence a hard ask. Lots of companies are working on ways to remove it, and HTC even has an accessory that turns the Vive wireless. Researchers at MIT-CSAIL, though, have figured out a way to do that for every kind of headset. What theyre promising is virtual reality, no strings attached. 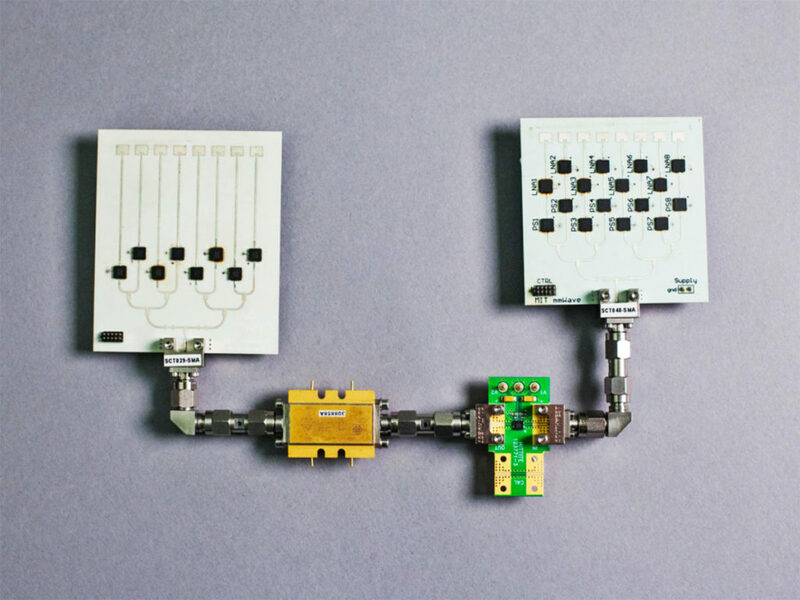 The MIT prototype system, called MoVR, is relatively small. It uses existing technology, and works with VR headsets that are currently in the market. It relays super-fast data from your PC to your headset, wirelessly, and it does it with no need for a direct line of sight. And if what it does sounds impressive, it’s nothing compared to how it does it. First off, to achieve those wireless speeds MoVR uses millimeter wave (mm wave) technology, a large band of spectrum whose potential has gone largely untapped. Thats not for lack of prowess. In fact, that its so under-utilized represents an enticing opportunity. Todays mm wave technology has a huge amount of bandwidth available, says Omid Abari, an MIT-CSAIL PhD candidate focused on the internet of things, who worked on MoVR. Theres enough available that you can transmit at very, very high data rate, even more than todays virtual reality requires. There is a catch. While mm wave can be fast and powerful, its high frequency means it has narrow wavelengths, which in turn makes it susceptible to blockage. Even something as seemingly innocuous as high humidity levels can weaken a mm wave signal—you can imagine what walls do. Not only that, but mm wave has relatively short range. In extreme cases, youre lucky if it makes it from one room to another. All of which makes mm wave tricky for general-purpose use. For virtual reality, though, the problem of range doesnt really apply. And the only blockages you have to worry about are the flailing arms of an over-enthused Oculus enthusiast. The very kind that MoVR cleverly works around. The MoVR really has two jobs: First, to feed your VR headset data wirelessly at speeds of multiple Gbps (an order of magnitude faster than your home Wi-Fi). And second, to detect blockages that might impede that data, and use a mirror system to reroute those mm waves in real time for an uninterrupted experience. That’s where the fun starts. Whats nice about the virtual-reality application is the fact that theyre already tracking my head or my headset as Im playing a game. Theyre using laser-tracking beams to track the headset, says Omid Abari, an MIT-CSAIL PhD candidate focused on the internet of things. We use that information to predict that the blockage is happening, and to find the best path to transmit the signal. The prototype boxfinds that path using algorithms that know where both the PC and headset are at any given time. Think of it like a relay man in baseball; it accepts an mm wave signal from the VR source, then angles it automatically to the associated headset. If it detects anything in the way, it can steer its mm wave beams clear in a matter of microseconds. Better still, its not just theoretical. Abari and the rest of the team have played data-intensive games on an HTC Vive headset, no cord in sight.Thats not to say its complete: MoVR works, but its still a little too big to be practical, or at least to fit tidily into a living space. Right now our prototype is the size of one or two smartphones. The next stage is to make them not just smaller but also more flat, so you can just stick it on the wall, says Abari. We also want to reduce the power consumption as much as possible, so that it can run on a battery much longer. Theres also the matter of cost, if this or something like it ever does get to market. Like all emerging technologies, mm wave components dont come cheap. Still, MoVR gets the most important thing right: it works. And with just a little more development, itll have you riding that dolphin in no time.